Is it okay for me to sell your items due to the new Consumer Product Safety Act? Yes, all products we sell conform to the new CPSIA rules and regulations. All of the items we sell are compliant with the Consumer Product Safety Act. No frabric, surface paint, or garment components contain levels of lead that exceed these limits. Easy. You can place an order here online, phone, email, or you can fax us your order. If you are submitting your order via email, please be sure not to include your credit card information. We will need to contact you for that information once your order has been inputted. Defective merchandise must be claimed within 15 days from receipt of shipment. If a garment has been worn or altered in any way, Wholesale Blank Clothes will use its discretion regarding the return of the merchandise. Contact our Customer Service Department for an authorization number before returning any garments. You may read our full return policy by clicking here. Orders under $300 are shipped via either USPS at the published rate plus a $3 processing fee or UPS at the published rate (CONUS). Orders $300 and over are shipped, at our discretion, by either USPS Priority or UPS Grounds for free (CONUS). 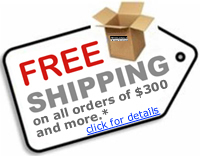 Please click here for further details regarding our shipping methods and costs. Do your garments have tags? By default, all of our products come with tags. They have care instructions, sizing information, and a brand logo. If you plan on having us manufacture your garments for you, we can, at that time, have your tag included instead of ours. We cannot replace your tags on our standard line of products (relabel). Sure. As long as you are an active client of ours, you may use our images. Please be sure to save them to your server and not serve the images from our server. If we change the names of the images on our server, they will not show up properly on your site. Do you dropship / blindship? Yes, we will dropship for you at no additional charge. please contact us, and we will be more than happy to assist you.